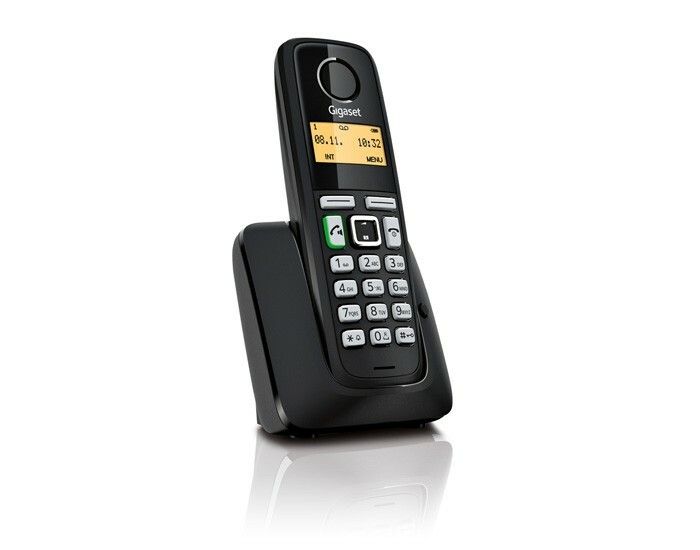 The affordable handsfree enabled phone with an integrated answering machine for comfortable calling. 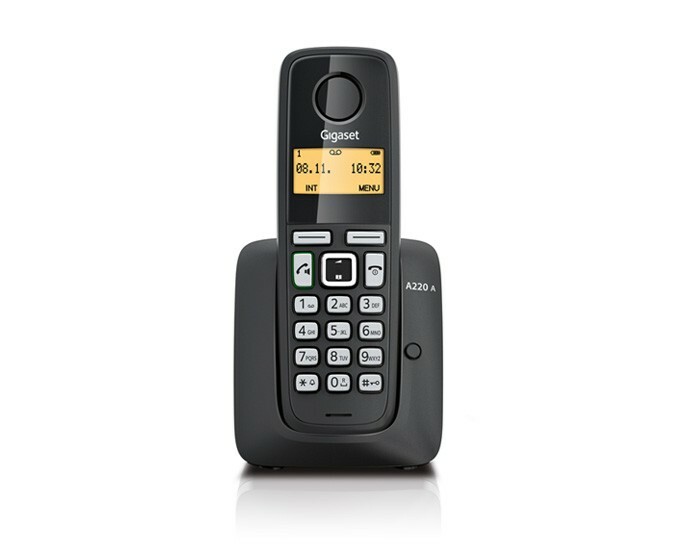 For a reliable cordless phone that offers good value for the money and features an integrated answering machine, discover the Gigaset A220A. Its answering machine records up to 25 minutes of messages, providing a convenient way to receive all incoming calls while you are out. The phone is incredibly easy to handle and operate. 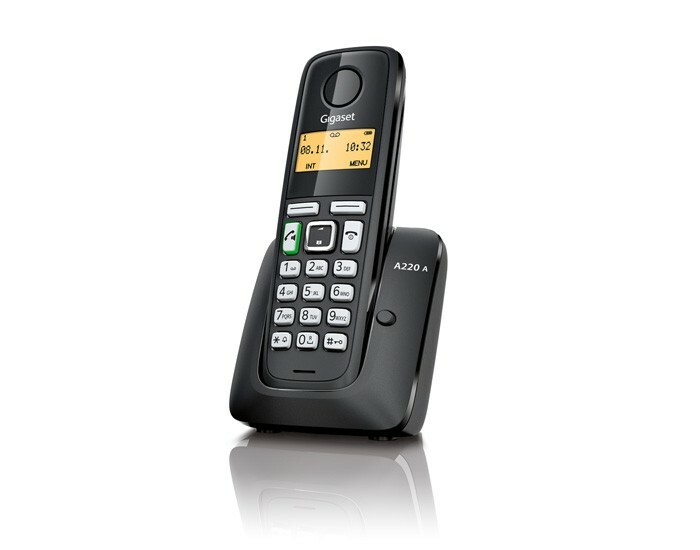 For instance, the user-friendly keys with sensitive pressure points make dialling a pleasure. You also enjoy the convenience of handsfree talking with the click of a button. There are 10 polyphonic ringtones to choose from. 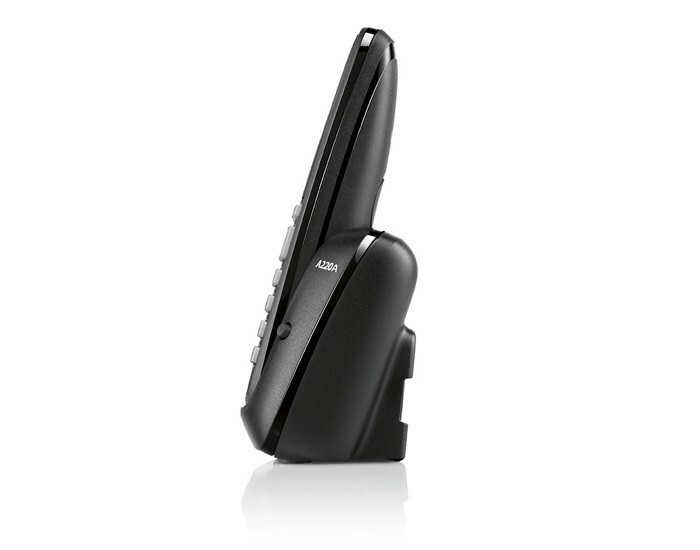 Like all Gigaset cordless phones, the Gigaset A220A is equipped with Eco Mode Plus, making it an eco-friendly choice for your home.